2 x 3.5 inches florist business card magnets with round corner can be sought by newbie florists to introduce themselves and their business. A promotional magnet imprinted with suitable information makes a good refrigerator art and people who receive them always retain it. 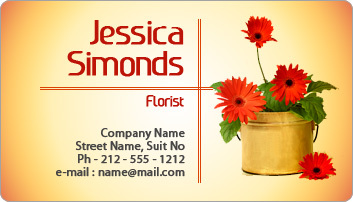 This magnetic business card also makes a good promotional token for florists working in larger business scenario.